This is the last of my posts about the hike we took behind the dump. This post is about the animals that we either saw or found evidence of. These aren't all the animals — I posted the wood frog photos here, the geometer moths here, and of course, the sad porcupine was posted here and here. 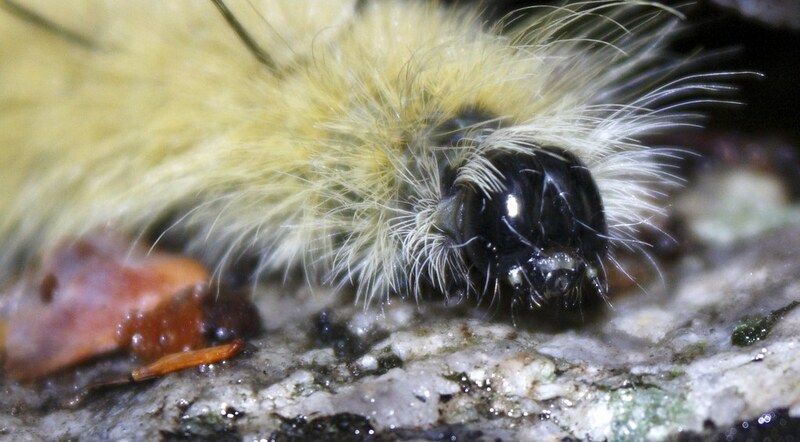 I have previously posted the caterpillar, pigeon horntail and salamander photos. I'm posting different photos of each here. If you want to see any of these photos full size, just click on the image. 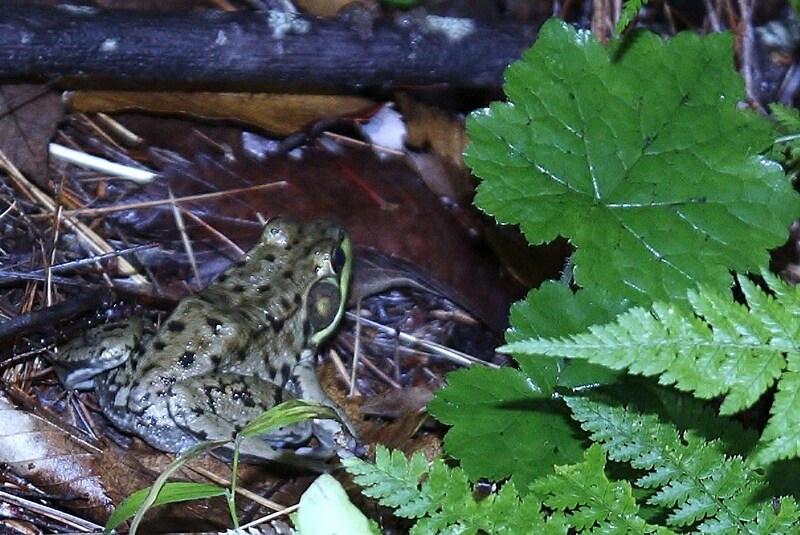 The first photo, above, is of a green frog. 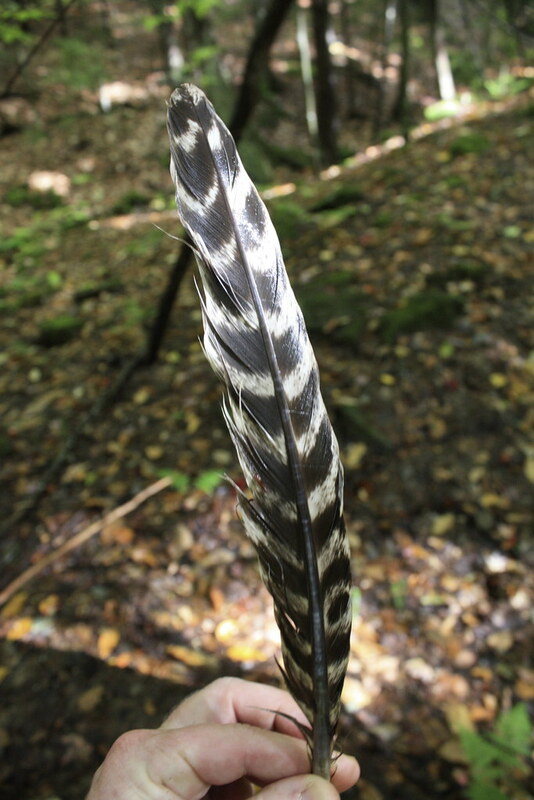 It is well camouflaged with the green and black markings. I like photographing these little things. Above is a leopard slug. Apparently it is not native but is now very common here. I saw my first leopard slug while it was slugging down an amanita mushroom. 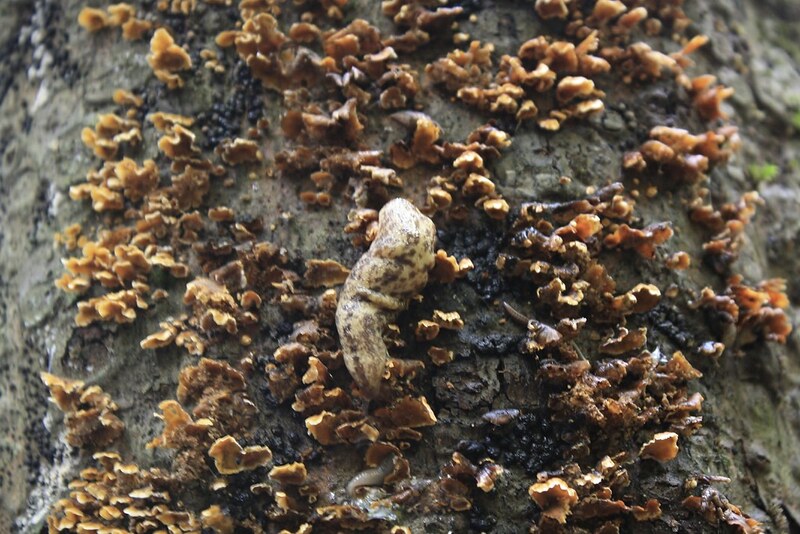 The one above was eating the fungi on the bark of a tree. The photograph of the leopard slug below illustrates their defensive reaction when you hold one. They curl up small. The photograph below is, yes, dung. 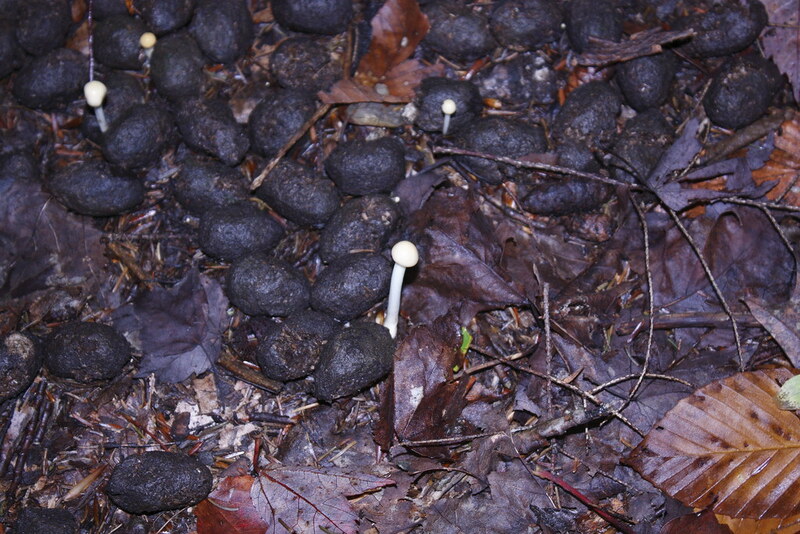 Moose dung. With fungi growing in it. 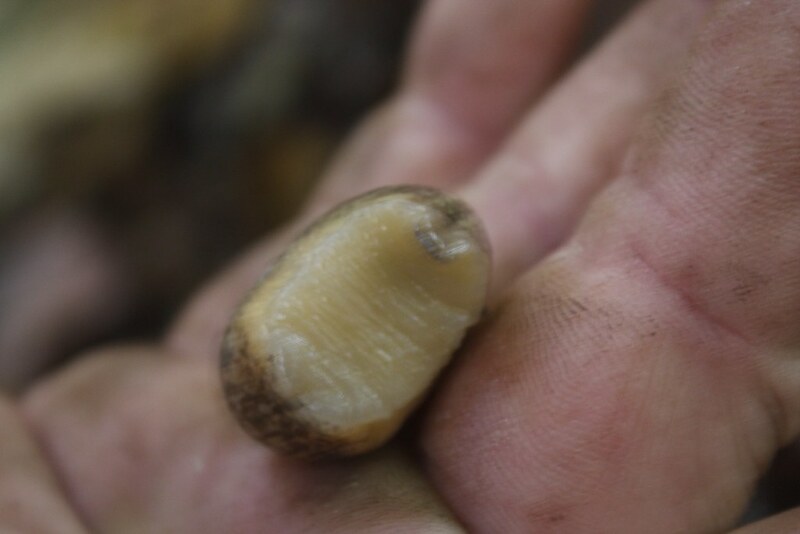 Next time you eat a wild mushroom, remember what it ate before you ate it! 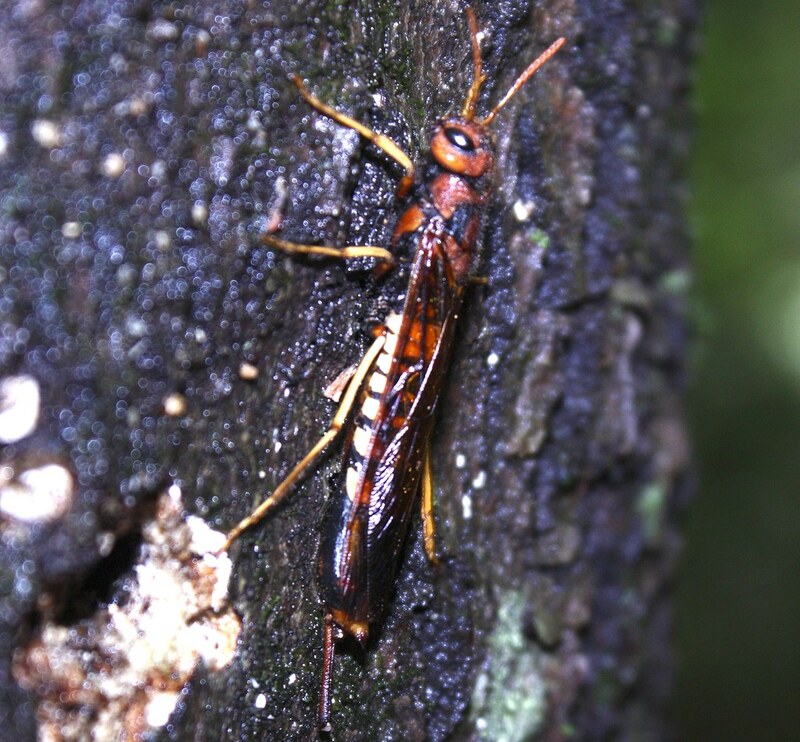 Below is a pigeon horntail. John saw it on a tree. I would've walked right by it. There are 22 species of this bug in the world. But only one in North America! I'm glad he saw it! 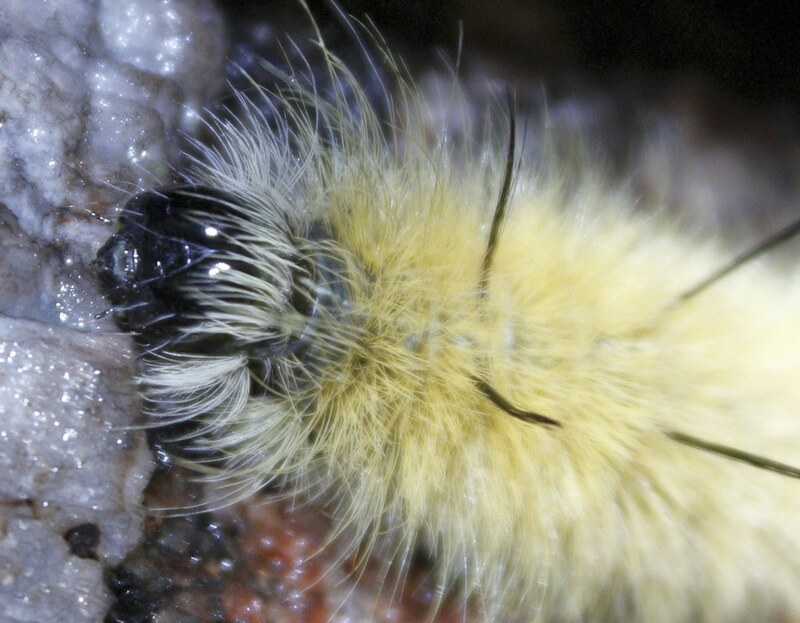 One of my favorite bugs is the catepillar below. 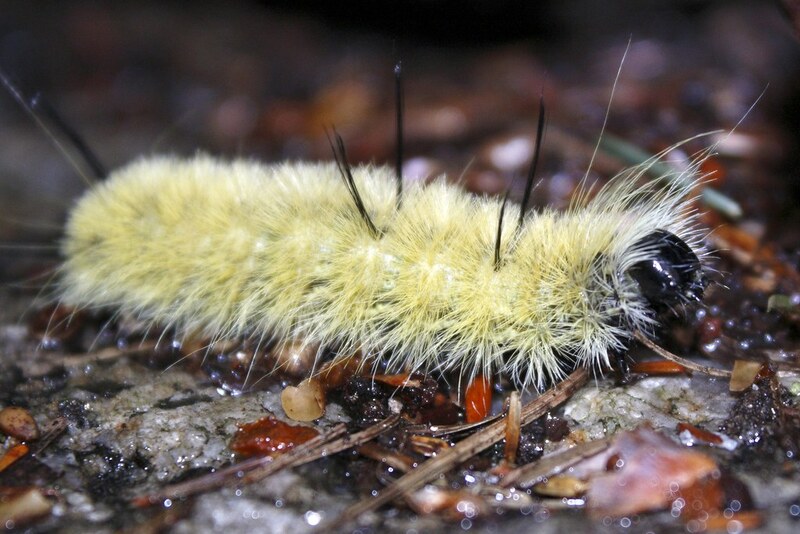 It is the caterpillar of the American Dagger Moth (click the link to see what this moth looks like). I have here two macros of this caterpillar that I usually save for my Photo A Day blog. If you like macros, visit me there! 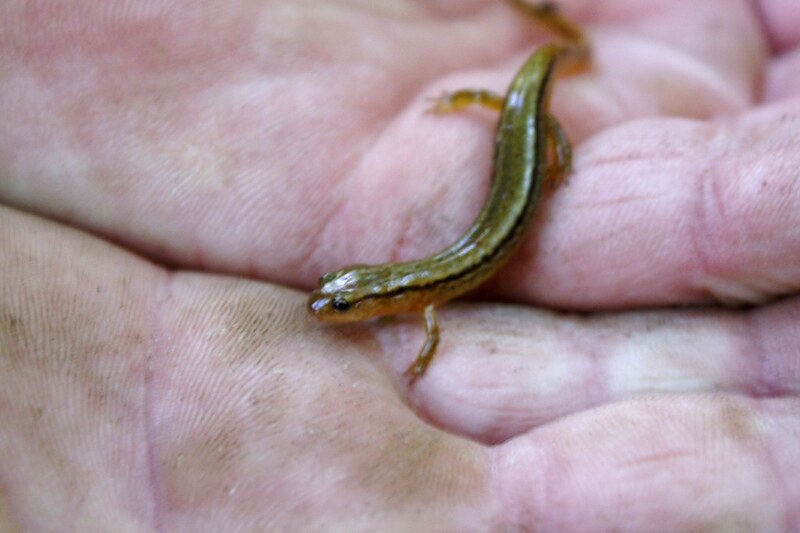 And finally, this is a Northern Two-lined Salamander. In order to find these small creatures, we spend a lot of time on our hands and knees in the mud. It is well worth the effort and the laundry!